Meanwhile, earlier that night, I got a text message or MMS message from this unknown number. I don’t know who was it because obviously it wasn’t registered in my phonebook, not until I listened to the song. First, I was hesitant to play/open it because; I was really scared it might be a spreading virus that these people have been spreading into mobiles and pc’s. Good thing, it was from a very familiar voice and she’s singing “Way back into Love” and our “Pambansang Awit” I kept smiling until it’s done. It was Tarryn Maeve Jo, my friend Twinkle’s daughter; I think she’s 3 years old, so funny and cute. Along with that, Twinkle sent me thru MMS a picture of them taken @ Gaisano Mall of Gensan grocery and when I saw it, I was bursting out of laughter. Thanks to this high technologies and Twinks, that just helped my night better. I tried to post the sound clips here, but I’m still trying to do what I can do with it, since its not accepted in photobucket…hahahaha…too bad. Since, I was left at home with my younger brother Ian and our new adopted. I decided to make breakfast for us. 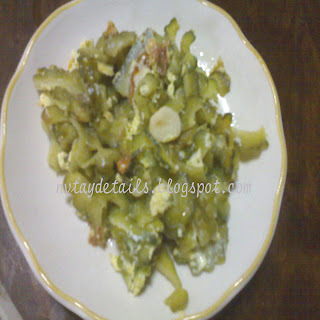 And its one of my favorite food, AMPALAYA, only few people who likes to eat this fruit. Honestly, I don’t eat that fruit either not unless it will be cooked with an egg with it or some pork on it. The taste is bitter but I have liked that taste if it’s cooked that way, besides, it’s good for your health too, to avoid having Diabetes illness. I hope that helps, and hopefully someday when my bf will visit me here again, I could make him this kind of dish. Nov,I have been to Tinago baya. I love it there. tago na tago kaayo. Hope you'll have a wonderful day and thanks for your walang sawa na visit. Huhuhu...samutan jud akong kasuya..kay I know I missed it again, ambot inig bisita sa akong bf puhon diri sunod tuig, kay hopefully we'll visit the place again... I will really annoy my family and Jeff to see the place...hahahaha...suya jud ko ba..
Yup, nag-uli jud sila kay fiesta didto, hay wa jud ko maka-experience nga mamista didto uy..karon na unta to ba, kaso ambot nabuotan ra pud ko sa akong work, na-guilty kon baga..hehehe... sige lang samtang buhi ta, damo pa panahon..puhon di na jud ko pauto. hala nindot man imo diri nga site. Kalami sa paliya. Ako bana gipakaon nako na hasta iya giluwa kay pait daw pati ako anak tawa lang ko. 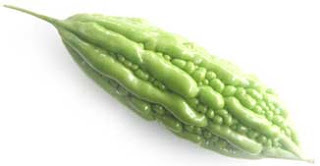 sos kalingaw ba tanawon...but, you can make one like that nga the bitterness of the ampalaya will gone.. just crust it with salt and then water after, later on when u cook it, i'm sure its not as bitter as it was before..